This 2014 video is called Paleolithic Art. Summary: A new article tells how researchers found — in the site of Hort de la Bequera (Margalef de Montsant, Priorat) — an artistic piece from 12,500 years ago in which humans and birds try to interact in a pictorial scene with exceptional traits: figures seem to [tell]a narration on hunting and motherhood. It is not very common to find representations of scenes instead of individual figures in Palaeolithic art, but it is even harder for these figures to be birds instead of mammals such as goats, deer or horses. So far, historians have only found three scenes of Palaeolithic art featuring humans and birds in Europe. Now, an article published in the journal L’Anthropologie tells how University of Barcelona researchers found -in the site of Hort de la Bequera (Margalef de Montsant, Priorat)-, an artistic piece from 12,500 years ago in which humans and birds try to interact in a pictorial scene with exceptional traits: figures seem to star a narration on hunting and motherhood. Regarding the Catalan context in particular, this is an important finding regarding the few pieces of Palaeolithic art in Catalonia and it places this territory within the stream of artistic production of the upper Palaeolithic in the Mediterranean. “This is one of the few found scenes so far which suggest the birth of a narrative art in Europe, and this theme is unique, since it combines an image of hunting and a motherhood one: a birth with its young one,” says the first signer of the article, ICREA researcher and lecturer at the UB Inés Domingo. “In the represented scene the birds catch the attention, they are copied or chased by two human figures,” continues Domingo. “We do not know the meaning of the scene for prehistoric peoples, but what it says is that not only they were regarded as preys but also as a symbol for European Palaeolithic societies,” she continues. “We do not doubt this is an exceptional milestone in European Palaeolithic rock art due its singularity, its excellent conservation and the chances to study it within a general context of excavation,” say the authors of the article; members of the Prehistoric Studies and Research Seminar (SERP). Apart from Domingo, other signers are the UB lecturers of Prehistory Pilar García Argüelles, Jordi Nadal, directors of the excavation in Host de la Boquera, Professor Josep Maria Fullola, director of SERP, and José L. Lerma and the researcher Miriam Cabrelles, from Universitat Politècnica de València, who worked on the 3D reproduction of this piece. This 29 January 2019 video shows two shoveler duck couples in love in the pond of the Haagse Bos woodland in The Hague in the Netherlands. In the background, tufted ducks. 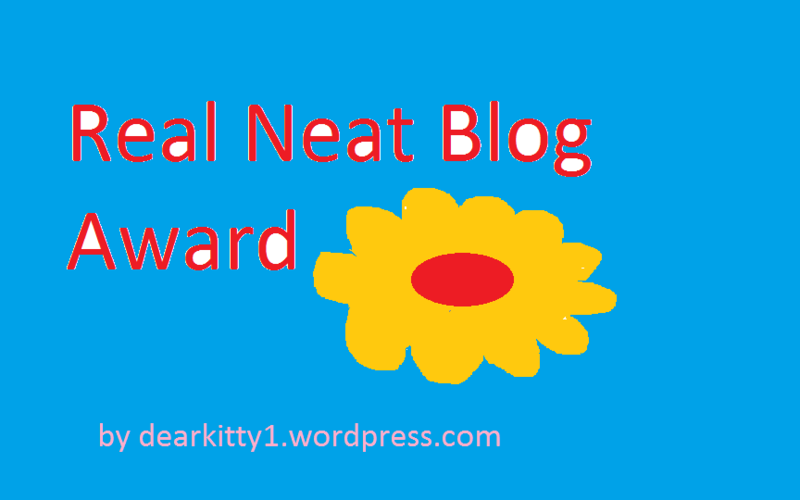 Late in 2014, I made this new award: the Real Neat Blog Award. 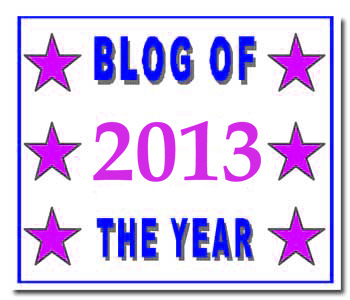 There are so many bloggers whose blogs deserve more attention. So, I will try to do something about that. It is the first award that I ever made. I did some computer graphics years ago, before I started blogging; but my computer drawing had become rusty. 1. Which film did you see, but wish in retrospect you had not bothered to see? 2. Which book haven’t you read yet, but would like to read? 3. If you would be invited to make a space journey, then to which solar system planet would you like to go? 4. To which country where you have not been yet would you like to go? 5. Who is your least favourite politician? 6. If you could go back in history, to which person would you like to talk? 7. If WordPress would stop, would you continue to blog elsewhere? Fossilised jawbones found in rocks along Victoria’s Gippsland coast have been identified as belonging to a new species of plant-eating dinosaur the size of a wallaby that would have roamed the land between Australia and Antarctica. Galleonosaurus dorisae is just the second dinosaur of its type to be identified from the 125-million-year-old rock platforms south-east of Melbourne — and the fifth from along the Victorian coastline. Millions of years ago, this area was a lushly forested rift valley with a 4,000-km chain of volcanoes to the east, said palaeontologist Matthew Herne of the University of New England. The new study reveals that the ornithopods from Victoria are closely related to those from Patagonia in Argentina. “We are steadily building a picture of terrestrial dinosaur interchange between the shifting Gondwanan continents of Australia, South America and Antarctica during the Cretaceous period,” added Dr Herne.